For the past month at our church, we have been asking ourselves what our lives would look like if we were truly brave. What would it look like to trust God in such a way that we are willing to live a life full of courage and boldness? When I think about this question, I usually have thoughts of selling all of my possessions and moving to another part of the world. I think about having giant faith in the face of a crisis. I think about trusting God with the future of my kids. But on Sunday, I got a glimpse of what I think it really means to be brave in the everyday. Sunday was our church’s 15 year anniversary. For several months, our staff has been talking about how we could honor and celebrate this milestone. 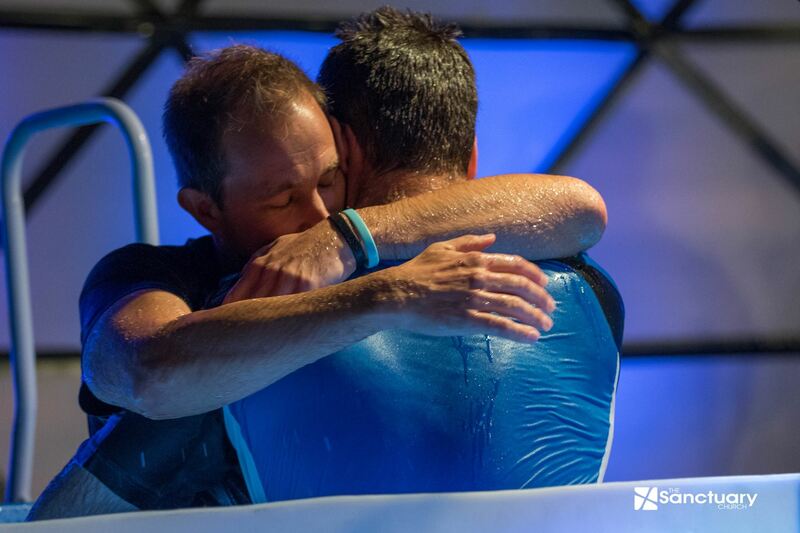 We decided that one of the best things we could do is offer an opportunity to get baptized. What better way to recognize what God has done in our church than to celebrate with people making a public proclamation of their faith through baptism? Typically, when the church has a baptism service, at least a dozen people sign up to participate. This time was a little different. The church started promoting the baptism service six weeks ago. The elders offered a class for people who wanted to get baptized. One person came. Had we scheduled the service too close to our last baptism? We have two services, so with one person signed up that meant no one would be getting baptized during one of the services. We decided that even if only one person ended up getting baptized, it would be totally worth it. The week before, two more people called to say they wanted to get baptized. Whew. At least one person would get baptized in each service. My husband and I met with the two new people days before the service. Once again, it was clear my plan wasn’t THE plan for this day. All three people really wanted to get baptized during the 9:30 a.m. service. We still had no one scheduled for 11 a.m. Since we were having a special lunch after second service, I assumed that is the service MOST people in our church would attend. I tend to stress over all of the details. Strangely, I felt an odd sense of calm. God has this. Be brave. I know that one of my biggest weaknesses is handling situations in which I’m not prepared. My role in the baptism service is to do a mini interview with each person to tell his or her story before the person goes into the water. I love doing this! It’s so powerful to hear people’s stories. But I like to know in advance what people are going to say. I like to meet with them beforehand and talk through their story. I like to know what questions I should ask and how I will direct the conversation. I know that I have a tendency to say something stupid or to not know what to say if I haven’t planned it in advance. I like to be prepared and in control. Be brave. During first service, one more person came to tell us she wanted to be baptized. Not only was I thrilled for her, but I was selfishly happy that now we would have a baptism during second service. Nope. Not the plan. 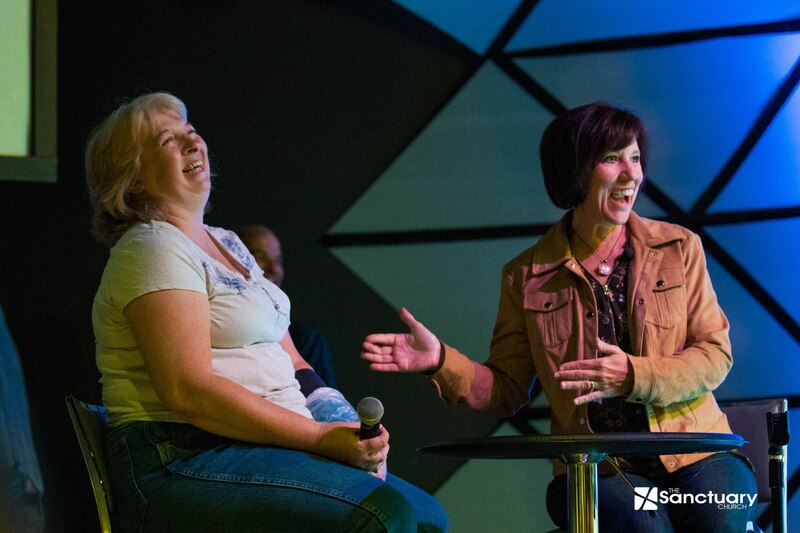 She really wanted to be part of first service since her family was already in attendance. First service ended, and as we mingled in the hallway, people kept asking if anyone was planning to get baptized second service. Not yet. Still, I sensed that God had it under control. Be brave. In the back of my mind, I was worried about what would happen. Would people be disappointed that we had announced a baptism service, but we had no baptisms? Should I have tried harder to convince someone to get baptized second service? I remembered something Craig Groeshel, the pastor of Lifechurch.tv, had said one time. If you are going to take credit when things don’t go as planned, then you are also taking credit when things go well. If something amazing happened, I wanted to give God the credit. At the end of second service, our pastor invited people to come forward for prayer. He also let people know we had extra towels if they wanted to get baptized. (We actually only had one extra towel, and it was still wet from first service!) 🙂 The reality is that most people like to plan these things. They like to bring a change of clothes and a towel. They like to invite their friends and family. There were so many reasons to keep people from coming forward! One person came forward. I couldn’t believe it when he made his way over to get baptized. Then another person came. And another. And one more. 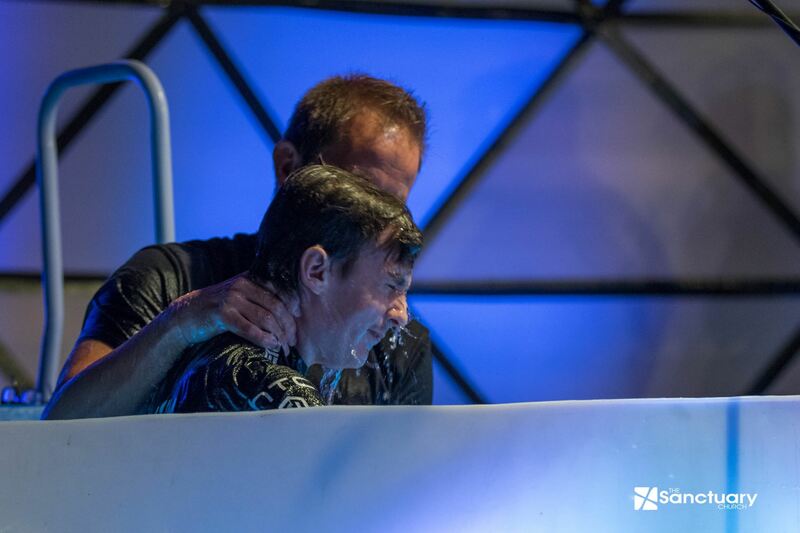 In the end, eight people made a public proclamation of their faith through baptism on Sunday. It was an incredible morning! God was moving in that place. It had nothing to do with great planning or making an announcement in just the right way. It didn’t matter that they would go home in wet clothes or have to use a tablecloth for a towel. 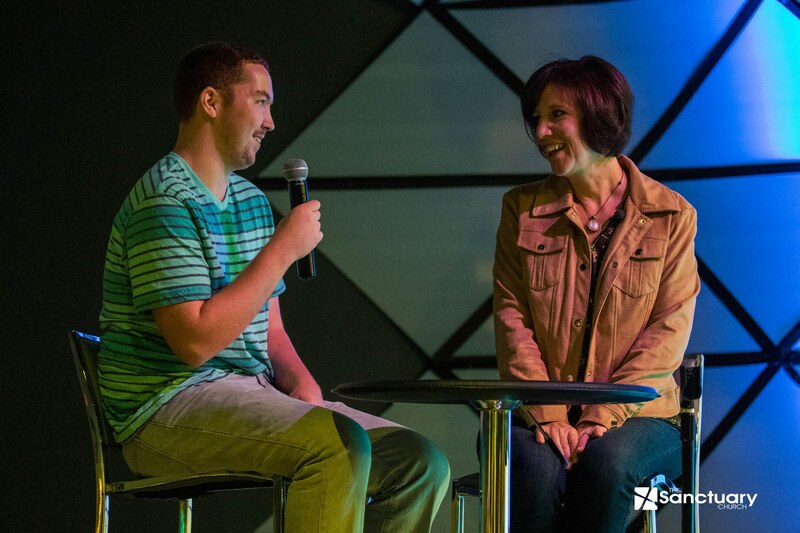 Each person told an awesome story of what God had done in their lives, despite the lack of preplanned interview questions. It was an amazing morning, and for me, it opened my eyes to what it looks like to really put something in God’s hands. To be brave.